Foodista | Birch Benders All-Natural Gourmet Pancakes Aren't Just for Breakfast! In my third trimester of pregnancy I had a fierce craving for pancakes, one so fervent that I kept a pitcher of batter at the ready in the fridge. It’s no wonder our daughter frequently calls out for the food that nourished her daily for months in the womb (we joke that she’s part pancake). My love for pancakes has not waned though I no longer keep a pitcher full of batter for quick fixes. For busy weekday mornings, however, I reach for quality mixes that require just one ingredient: water. 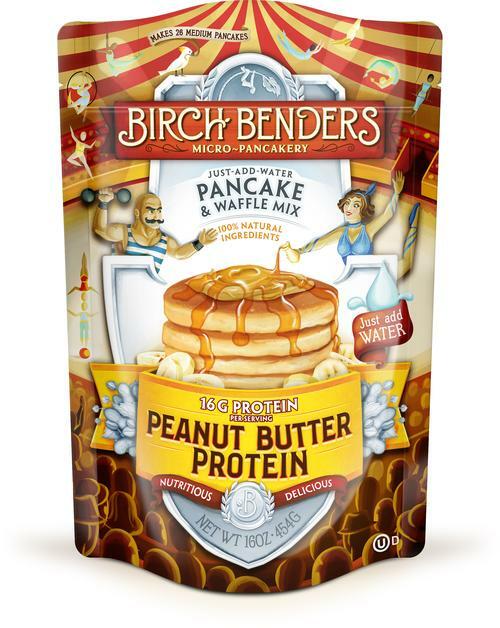 My newest discovery are the pancake and waffle mixes from Birch Benders Micro-Pancakery. 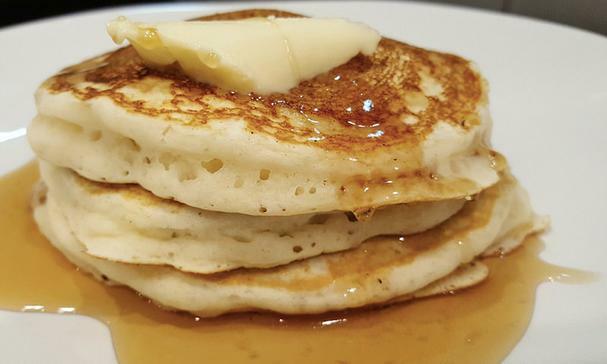 Birch Benders are made by Matt and Lizzi, passionate pancake lovers like myself, who wanted to create better than restaurant pancakes that are easier to make than from scratch. Their delicious mixes have certainly passed the taste (and ease) test in our house! Birch Benders all-natural gourmet mixes come in a variety of flavors like Buttermilk, Six Grain and Six Grain Cinnamon, Chocolate Chip, their Classic blend, and Sweet Potato, as well as Gingerbread Spice, Pumpkin Spice, and Double Chocolate Peppermint, so you can get a taste of the holiday season any time of the year. They also offer specialty mixes which include Paleo, Gluten Free, Protein, and as of today, March 1, a new Peanut Butter Protein mix, which boasts 16 grams of protein per serving, serves as a great source of calcium, and contains no GMOs, trans fat, or BPA! Their delicious mixes are also super versatile and can be used in many dishes other than a traditional breakfast. Use their Classic mix (or Paleo) for a tasty pizza crust or to whip up some scrumptious Mini Muffin Chicken Pot Pies. The Gluten Free mix can be used as a coating for Oven Baked Fried Shrimp or to bake up a gluten free Orange Marmalade Bundt Cake. Check out all their yummy recipes here for inspiration. You might just find the need to keep a pitcher of batter in the fridge yourself. Editorial disclosure: Foodista received product for our honest review.